DEVELOPMENT PARTNERS: The grouping’s members can not only learn from each other’s development experiences and understand views on subjects like climate change but also define new rules for health care, education and Intellectual Property Rights. India is at a unique geopolitical moment. On the one hand its neighbourhood and the larger Asian continent are being unpredictably redefined. The United States has declared, if somewhat ambiguously, its reorientation or “pivot” towards Asia, recognising the region’s economic force moving forward, or perhaps merely countering enhanced Chinese power. India and China are charting new geographies of contests, the Indian Ocean and South China Sea. The “Arab Spring” has exposed the fundamental inadequacies in Middle Eastern and North African governing structures but has also given rise to an uncertain political future in an important energy-producing region. Last, but certainly not least, China’s growing assertiveness in the Asia-Pacific region has led to increased, if sometimes seemingly unnecessary, conflict with neighbours in Southeast Asia and Japan. On the other hand, the world is seeing a once-in-a-century churn. The global board of directors that sit on the high table and define rules for conduct of political and economic governance are now unrecognisable from the lot just after World War II. India must seize the moment to shape these revisions of rules devised by the Atlantic countries and defend its growth and development interests in areas such as trade, Intellectual Property Rights (IPR), space, climate, and energy policy, among others. Regional order and global governance are both in flux and demanding India’s attention. This is not unique by itself. What is different this time around is that India has the capacity, increased capabilities and enhanced level of demonstrated intent to engage with this dual external relations challenge. In order to attain the global power status it desires, India must walk and chew gum at the same time. It must tend to its immediate and extended Asian neighbourhood while also engaging with the task of shaping a new rules-based political and economic order. BRICS represents a uniquely appropriate platform and flexible mechanism with which India can address this dual imperative. Engaging with China and Russia in an environment free of the sharp edges often wrought in bilateral negotiations will catalyse congruence over an array of mutually important issues. Any stable Asian order must have at its core, a certain level of accord among these three large continental powers. The past would need to be defrayed and the path for future integration would need to sidestep suspicion and history. Annual BRICS summit-level discussions on political and economic matters allow the three countries such an arena of tactical camaraderie. The current moment allows a unique opportunity for the three to shape a new construct for Asia amidst the regional flux. Perhaps at some stage it may be worthwhile having a summit level RIC meeting on the sidelines of BRICS to discuss this Asian project. On resetting and reshaping economic and political governance, BRICS has the potential to be the new (and often criticised) game changer. The sheer size and rate of growth of intra-BRICS trade and economic exchange will allow each of these countries to exert their collective weight for their individual gains. Who gains more should not matter, as long as every member benefits from this dispensation and the order is visibly equitable. There are a few benefits that India must seek through and with the BRICS. First, there are many multilateral organisations within which a “BRICS-bloc” can exert significant leverage. The U.N. and World Trade Organization are two such forums. While geopolitical and economic thinking among BRICS is not always in-sync, where there is consensus (and the areas are increasing rapidly) BRICS could be a compelling voice. Like they did on the debates on non-interference and “Responsibility to Protect.” Similarly, India’s views on climate change, financial norms, trade rules and so on could also benefit from BRICS’s aggregate voice. Of course the UNSC membership issue strikes a discordant note but it should not cannibalise the possible coming together on other matters. Second, as economic powerhouses and regional hubs, intra-BRICS market integration can insulate these nations from western economic slowdown. The Organisation for Economic Co-operation and Development (OECD) stagnation is impacting BRICS growth, with multi-percentage point GDP dips in India and China. BRICS market integration could leverage the economic power of emerging world economies by sparking increased trade and foreign investment, especially if done in local currencies. Only China is part of India’s top 15 trading partners, making the BRICS forum an attractive stage from which India can promote economic ties with other dynamic economies. The BRICS development bank, option of holding each others’ currencies as reserves, stronger trade facilitation and eventually a comprehensive BRICS economic partnership agreement are all worthy possibilities. Third, the BRICS are each experiencing rapid development with uniquely national characteristics. However, despite growing middle class populations, BRICS hold the lion’s share of the world’s impoverished population. These nations must take increased responsibility for a new global development agenda, incorporating inclusive growth, sustainable development and poverty alleviation. BRICS is a platform not only to learn from each other’s development experiences but also the instrument that can define new rules for health care, education and IPR for the billions at the bottom of the pyramid. The collective BRICS experience around social policy could be beneficially shared with others as well. 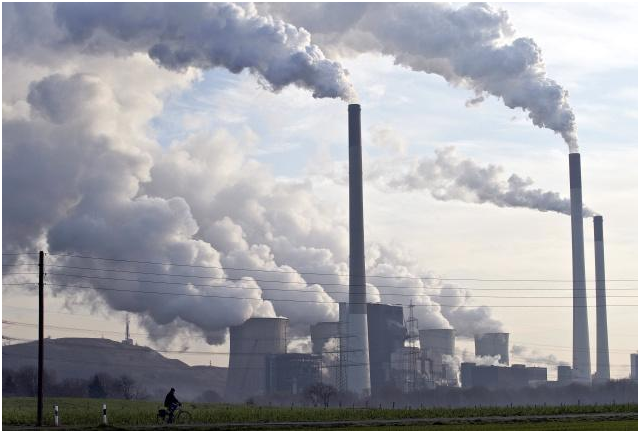 A forum (like the OECD) or clearing-house to disburse this information would prove a relatively low-cost measure producing substantial insight into development efforts, technology sharing, low-cost and sustainable energy generation, information technology and manufacturing. By drawing on collective BRICS brainpower, local development efforts will be catalysed. For example, sharing China’s experience on infrastructure development or poverty reduction or Brazil’s in clean-fuel generation could be beneficial for India currently lacking the ability to take full advantage of its economic potential. Is BRICS just a catchy acronym masking the haphazard, slapping together of five developing, yet ultimately incompatible, nations? 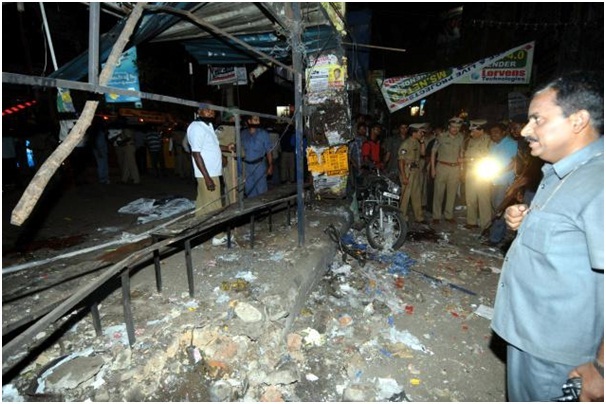 India should respond with an emphatic no. At this unique moment, when India faces a multitude of challenges seeking its attention both towards the region and the global stage, BRICS provides a flexible platform to respond to both. Brazil has a prominent role to play in the global governance architecture. The country has sustained structural economic growth on the back of favourable demographic drivers, growing middle class consumption and broad scale socio-economic transformation. As a result, the business environment in the country has steadily improved; and the number of people living in extreme poverty have halved over the last decade. It is time for the country to place commensurate emphasis on consolidating its position as a regional leader; and as a key stakeholder on the global governance high table. BRICS provides the perfect platform to marry the dual imperatives. Brazil boasts of one of the world’s largest domestic markets and a sophisticated business environment. It ranks 53rd on the World Economic Forum’s Global Competitiveness Index (2001-12), and is ahead of the rest of the BRICS nations in the availability of financial services among other key indicators of financial market penetration. Brazil’s upwardly mobile middle class and its elite have inexorably embraced the liberal globalisation framework, promoted by the developed world. Consequently, since the 1990’s they have shown a greater willingness to engage with the international system, and accept transnational regulations and norms. As a willing signatory to international norms, ranging from those around mitigation of climate change to preventing nuclear proliferation, Brazil has often broken its own historical typecast of being defensive. What superficially seems to represent a systemic re-prioritisation – requires deeper investigation. According to the Economist’s Economic Intelligence Unit, domestic savings rates in the country are below 20 percent. Mid-sized industries still largely rely on external markets for raising money and channelling investments. By default, international perception about the Brazilian economy is an important component of national strategy. Concomitantly, the Latin American identity is one that successive governments have strived to shed. Being part of the BRICS grouping has helped Brazil to leverage its ‘emerging market’ identity and de-hyphenate from its Latin American identity (which had its own convoluted dynamics in any case). This is evident both in the global economic and political spheres. BRICS has provided Brazil with a platform to engage with the international system more progressively. It can now navigate the international rules based architecture, with greater bargaining power and seek greater representation in institutions of global economic and political governance. Using the BRICS identity, Brazil no longer has to drive a wedge between its development and growth imperatives. It can shield its poor from international regulations, without fear of its ‘investment worthiness’ being diluted. It can participate at the global high table, while simultaneously catering to nuanced regional imperatives. The recent death of Hugo Chavez was termed “an irreparable loss” by Brazilian President Dilma Rousseff. This serves as an example of the ideological flexibility, which the country employs to engage with a neighbourhood that is strictly divided on the Venezuelan President’s legacy. Indeed fine balancing tactics are not new to Brazilian foreign policy, also termed ‘a study in ambivalence’. The pluralistic construct of BRICS fits perfectly with Brazil’s strategic outlook on its neighbourhood and the world. Brazil has taken on more regional commitments over the same twenty year period during which it has enhanced its engagements with the international system. This is evidenced from increased participation in regional working group meetings, official summits and informal gatherings by the government. There are numerous accounts of Brazil’s deployment of regional priorities as a bargain chip. Through MERCOSUR (Southern Common Market), Brazil has been able to successfully negotiate trade agreements in favour of its national interests. It is a pivotal founder member of the five-member trading bloc, which recently included Venezuela within its fold. In the on-going negotiations for a Free Trade Agreement with the European Union (EU), Brazil has pulled out all the stops, shielding its local industries from cheaper foreign made imports; with support from other members including Argentina. Similarly, common interests rather than common ideologies dictate the BRICS agenda. Brazil’s membership of the grouping is in complete consonance with its regional and global strategic imperatives. Aside from the adaptive flexibility that the informal BRICS grouping offers, it allows Brazil great latitude in bringing specific agendas around innovation, intellectual property rights and green growth at its core. Brazil is home to nearly half of the world’s biodiversity; the overarching sustainable development agenda is not surprisingly a national priority. Similarly, Brazil has the opportunity to use mechanisms such as the BRICS Exchange Alliance for attracting investments. While the current framework enables investors to trade in cross-listed futures indices, if there is political will, the mechanism could eventually encompass various products with different underlying assets including equities. Another relevant sector specific example is commercial aerospace cooperation, where Brazil has unmatched expertise within the grouping. There are in fact multiple opportunities for Brazil within BRICS, not limited to the economic sphere. In many ways, the grouping brings Brazil from the left corner of the world map to the centre, where the geopolitical theatre is most active; in Asia and the Indo – Pacific. However there are two oddities in the Brazilian agenda which would require circumnavigation if Brazil is to be brought to the heart of the geopolitical discourse. The first is to moderate its insistence on pursuing ‘euro-styled’ agendas such as interventionist doctrine ‘responsibility to protect’ (R2P), with an ambiguously defined alternative ‘responsibility while protecting’. Sovereignty matters to other BRICS and there is some time before supra-national initiatives would pass muster. And the second is to shed its reluctance on the agenda for creation of a BRICS led Development Bank. In this instance Brazil, with its considerable Development Bank experience, can help shape a credible institute that will empower billions south of the equator. Vivan Sharan is Associate Fellow and Samir Saran is Vice President at the Observer Research Foundation (ORF), New Delhi. French President Francois Hollande is arriving in the Indian capital today for confabulations with the Indian leadership. This first visit of the new French president is missing the hype and hoopla that would have accompanied, say, a visit by the US president. Perhaps this is a reflection of the persona of the man, who is stated to have an understated style. Or is it a sign of the strength and maturity of the bilateral relationship? France is arguably India’s longest standing all-weather friend, save Russia. It sought to limit the impact of the US-led anti-India sanction regime following the nuclear tests in 1998. It was the first to propose the integration of India into the global order, and it has been the first and most vocal supporter for India’s inclusion in the Security Council as a permanent member. This is indeed a good time to move the engagement from one that is still tactical and transactional to one that is more strategic and sustainable. This partnership must be consummated with determined progress on five fronts. The first is to realign cooperation in the defence sector. 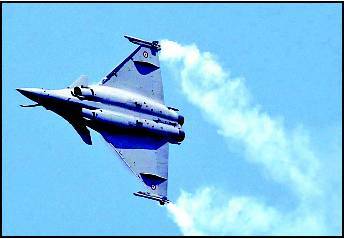 Multibillion dollar transactions are on the anvil with sales of aircrafts under negotiation, agreements on co-production of missiles, technology for the Tejas aircraft and a submarine deal. India has served as a lucrative market for French defence industry; the relationship now needs to move beyond this ‘vendor-buyer’ paradigm. It must strive to unleash the market potential and entrepreneurial dynamism of the Indian private sector in tandem with French capabilities. While the glass ceiling that excludes private enterprise remains, some developments give hope and direction. the French Thales Group and an Indian company create armoured personnel carriers like they have done with Australia? Can we hope to jointly develop drones and unmanned combat aerial vehicles, needed for the asymmetric battlefields of the 21st century? This ambitious co-creation agenda leads us to the second project that India and France must embark upon. There is urgent need for a roadmap leading to India’s entry into the four global export control regimes. France must work with the Europeans and the US to facilitate India’s entry into the Nuclear Suppliers Group, the Missile Technology Control Regime, the Australia Group and the Wassenaar Arrangement. Membership of the four regimes will allow partnerships and development of new markets in the large high-tech sector for defence and civilian applications. The third area of focus must be India’s civil nuclear sector. India and France have partnered on civil nuclear energy initiatives since 2008, with France being the first country to sign a civil nuclear agreement with India. Nicolas Sarkozy had promised “full’’ civil nuclear cooperation, including the transfer of uranium enrichment technology. Hollande must now implement that promise. Without access to enrichment technology, the growth of nuclear energy in the country will remain modest and India’s ability to emerge as supplier of a full range of nuclear services will be limited. The opportunity to develop India’s manufacturing industry to cater to the nuclear sector at home and abroad is immense. France is the most obvious partner and co-beneficiary. Fourth, homeland security offers broad scope for collaboration. Faced with threats ranging from cyber attacks to terrorism, India can benefit from best in class French security technologies. The Safran Group offers a spectrum of security solutions and is a world leader in biometric technologies. It is already engaged with the Unique Identification Authority of India. The Thales Group offers a range of integrated security solutions for urban infrastructure and has been in India since 1953. There is a growing appetite for the sector within Indian corporations. The two governments must act in concert and provide policy signals that catalyse this private sector interest. Finally, both countries must start looking together at the region and the world. The Indian Ocean is an important region for both countries. France has long been an Indian Ocean power with numerous bases in the region, and is dependent on oil imports from the region much like India. A Franco-Indian vision document could be a vital first step towards developing a cooperative framework for stability and security in the region. It would help the two countries understand capacity hurdles and technology gaps that need to be overcome. Be it cooperation on maritime domain awareness, submarines, missiles or at the very least joint operations, anti-piracy efforts, information sharing and data access, the scope is immense. The relationship must be purposeful, nimble and creative. If the Rafale negotiations hit turbulence on price issues, India’s interests in obtaining certain technologies could offset this hurdle. Similarly, a repeat order for Scorpene class submarines could be considered alongside co-development of nuclear submarines that India seeks for a credible triad. As the world becomes increasingly fragmented, and interests dictate relationships, France and India have a historic opportunity to circumscribe their interests within a comprehensive strategic framework of cooperation. The writer is vice-president, Observer Research Foundation. On February 11, the Supreme Court issued notice to the government, seeking its response on making intelligence agencies accountable to Parliament. This question is pertinent and in some ways captures the sentiments expressed by many and best vocalised by two leaders in recent times. Vice-President Hamid Ansari had said in his 2010 speech on this subject “….responsibility to the legislature, and eventually to the electorate, is an essential element of democratic governance to which we are committed by the Constitution.” Thereafter, the Private Members Bill introduced by Manish Tiwari (now Minister of State for Information and Broadcasting), The Intelligence Services (Powers & Regulation) Bill 2011, sought to empower intelligence agencies through a legally mandated charter that included well-thought-out elements of supervision and oversight. Mr. Tiwari’s effort was supported by a research initiative at the Observer Research Foundation over a period of about two years. Views of and feedback from over 150 experts, politicians, social scientists, mediapersons and security professionals were solicited. The resulting analysis questioned obsolete notions of national security liberally deployed by the security community to protect turfs, prevent change and indeed to defend the indefensible. In this context, four core issues stood out and need early resolution even as the court is appraised of this matter. In modern democracies, intelligence agencies are legally created by and operate under a charter drawn up by the legislature. India’s agencies however bear a chilling resemblance to Haiti’s Tonton Macoute, a voodoo police named after a phantom bogeyman having no charter, rules or limits. In effect it is an extra-constitutional body, prey to individuals and politics and, like such institutions, is totally unaccountable. Setting a charter improves efficiency, focussing resources and minds on what needs to be done. It directs operations on the basis of policy, not individual whim. For example if folklore has it right, if RAW had a charter, it would have legally pre-empted a former Prime Minister’s order to abandon operations in Pakistan. It cost India 30 years worth of accumulated ground assets and priceless reach. Intelligence agencies such as Mossad, CIA and MI6 have reformed their structures to include operation and financial audits which have improved their efficiency. These agencies, prior to reforms, had a history of personal and political abuse. Institutions are based on trust, but there is no incompatibility between trust and verification. The taxpayer needs to know from a competent authority that his rupee is not being misused on ballerinas, champagne and settling personal scores. The state has a responsibility to verify and audit. The reports that these agencies are used to spy on political opponents, blackmail them and purchase parliamentary votes are too regular and too consistent to be ignored. “Watergate” was the most visible example of such abuse. Closer home, leaked telephone conversations (recorded dubiously) and allegations of keeping a tab on political opponents tell us that “Trust me” is simply not an argument — unless the government can prove that these agencies are staffed by people with a special mitochondrial DNA that makes them free of incompetence, inefficiency and corruption. As all details obviously cannot be divulged, an independent intelligence ombudsman with the highest level of security clearance is the optimal answer. A National Intelligence and Security Oversight Committee will address the issue of control. Democracy is about deferring to the wisdom of the many. In our system, the Prime Minister is primus inter pares; all governmental decisions are passed by cabinet committees. The Prime Minister therefore, must not have permanent and exclusive control over such agencies. Far from making the process of intelligence collection tedious, collective control leads to better absorption of intelligence and enables the system to efficiently analyse the same. Interdisciplinary inputs would allow holistic analysis insulating the Prime Minister from tainted or bad intelligence. Inconsistencies may be better detected resulting in moderation and course-correction. Optimally, such a collective must include parliamentary opposition to ensure national consensus and continuity. A recent example of abuse is the 2003 invasion of Iraq. It was because powerful individuals hijacked the intelligence apparatuses of the United States and the United Kingdom that intelligence was allowed to be concocted to build a bogus case for war. There is a case for a National Intelligence Tribunal that protects the public at large but also those serving within such institutions. Extra-constitutional institutions are usually rife with turf wars: a person trapped within such a phantom has no way to protect himself against individual caprices with no system of grievance redressal. Becoming a breeding ground for cronyism and negating merit has an enormous negative impact on professionalism and morale. After all in such a dangerous line of work, personal enmity can translate into a death sentence. A special tribunal will protect both the interests of intelligence employees as well as shield the general public from their excesses. Deploying the “National security” argument against reform is a fig leaf for defending cronyism, incompetence, inefficiency, and corruption. A proper regulatory mechanism can only strengthen national security, not weaken it. It is time to bring in facts and lessons from global best practices to this debate as it unfolds in the highest court of the land. George Orwell once remarked “Whoever is winning at the moment will always seem to be invincible.” China’s long-running growth juggernaut has resulted in a steady conversion of China skeptics into believers, so much so that a Pew Global Attitudes report released in July 2011 indicated a widespread perception that China has either replaced or will replace the US as the world’s sole superpower, with the Americans themselves just about equally divided on the subject. For the Chinese establishment, even as being the preeminent global power remains their ultimate aspiration, China’s own outlook has been far more pragmatic. There is a realization that the critical vectors that fuelled China’s impressive growth have either played out or are near to playing out their potential. Exports are slowing, and the near double-digit growth in domestic consumption leaves little room for additional growth without triggering unbridled inflation. Compounding this is fast depleting surplus labor in China’s rural backyard and steady increase in wage costs, which have grown at an annual rate of 15 percent over the past years. This and stagnating Western demand for goods are impacting China’s growth algorithm built around the premise of inexpensive labor and competitive exports. China’s redemption as the preeminent global power is hinged as much on its capacity to sustain its economic momentum as in its ability to influence the principles, values and rules that define global institutional mechanisms and frameworks. However, China’s stellar economic engagement with the world has not resulted in commensurate political weight or perceptional dividends within global institutions. To realize its aspirations, China urgently needs to find a way around this predicament, and BRICS offers it a plausible option and opportunity. BRICS is today the most promising entente of high growth economies. BRICS’ national economic and political transformation agendas are fuelling huge domestic demand for newer types of products and services. China is uniquely positioned to gain enormously from this dispensation. Standard Bank estimates China is party in over 85 percent of intra-BRICS trade flows, which have grown by about 1,000 percent over the last decade to over $300 billion, and are estimated to reach $500 billion by 2015. While intra-BRICS trade accounted for close to 20 percent of BRICS’ total trade in 2012, it remains disproportionately weighed in China’s favor. Hence in any BRICS growth story, China will be the biggest net gainer. While the BRICS nations have formed a close bond between themselves, they haven’t consummated any traditional model of interstate alliance. The model affords sufficient space to accommodate intra-group differences and independent strains of national discourse. It is still bilateral relationships rather than allegiance to group ethos that predominantly inform the intra-BRICS economic and political dynamic. Group identity and collective consciousness will result from co-creating and co-managing institutions and instruments. A BRICS development bank, a stock exchange alliance and a BRICS fund are all vital next steps. For China to unleash and benefit from the full potential of the group, it needs to work on such initiatives. These will offer it a new economic landscape and will also help take the edge out of bilateral relationships. 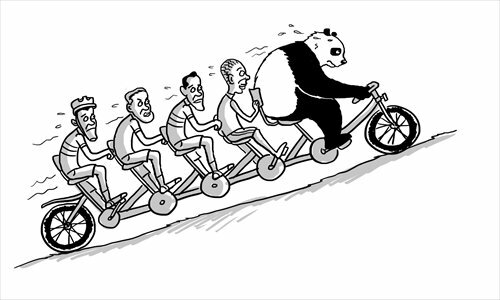 However, for China to command the moral weight to realize its power ambitions through BRICS, it needs to morph from a trading partner seeking profits to a strategic ally helping shape a common world. As the partner that stands to benefit the most from any expanded BRICS play, China needs to be singularly more magnanimous and mindful in accommodating the legitimate interests and aspirations of other member states. A disproportionate generosity, whether it is in resolving bilateral disputes or legacy issues, or, sharing of power at BRICS institutions, independent of economic contribution and effort, will reap very rich political and economic dividends, while also permanently insulating China from the politics of power imbalance within the group.